During 2013-14 the British Library is moving the national newspaper collection from its current home in Colindale, North London, to a purpose-built Newspaper Storage Building (NSB) in Boston Spa, West Yorkshire. As such all Print newspapers and microfilm will be embargoed from Friday 8th November 2013, at which point the Reading Room at Colindale will close. Periodical titles remain under embargo, except for a small number of high-use titles which will remain available until the Reading Room at Colindale closes. Future access to the collection will be via a dedicated newspaper Reading Room at the Library’s main site at St Pancras, where microfilm and digital copies will satisfy the majority of requests. Where no ‘surrogate’ copy exists, it will be possible to request the print originals from Boston Spa; if the required item is in good enough condition to travel, it will be delivered to St Pancras within 48 hours. The moves are part of a wider programme that aims to safeguard the long-term future of the collection, which includes more than 750 million pages of local, regional and national newspapers, along with periodicals covering every aspect of life in the UK and beyond. In the mean time, the British Library’s British Newspaper Archive website, which offers free-to-search access to up to 4 million fully searchable pages, featuring more than 200 newspaper titles from every part of the UK and Ireland, remains fully available, while our Library has access to a wealth of newspaper resources online, most notably Nexis UK, as well as the electronic archives of individual papers such as the Guardian & Observer, The Times & Sunday Times, and the Daily Mail Archive, all accessible through Library Catalogue Plus. For further details and updates on the move, visit the British Library’s ‘Help for Researchers’ page here. 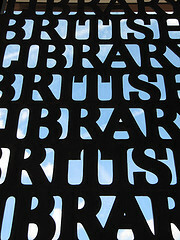 This entry was posted in British Library, Databases, Electronic resources, Inter-Library Loans, Print resources, Research, Resources by Steven Lake. Bookmark the permalink.